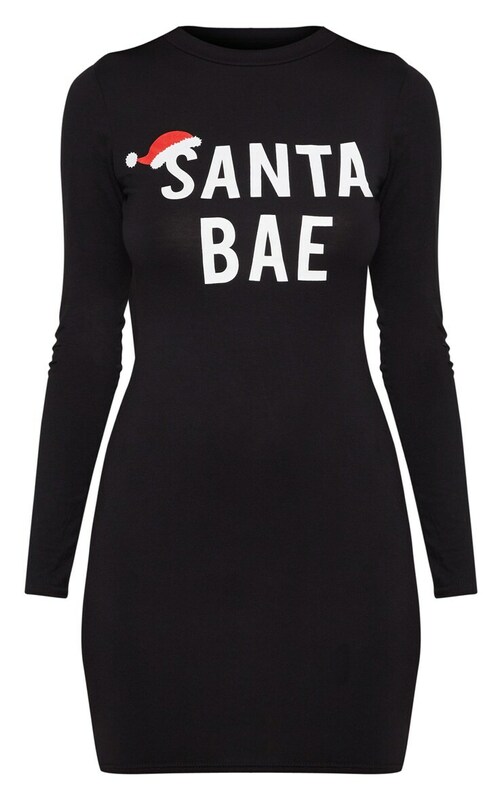 Take your festive look to the next level with this dress. 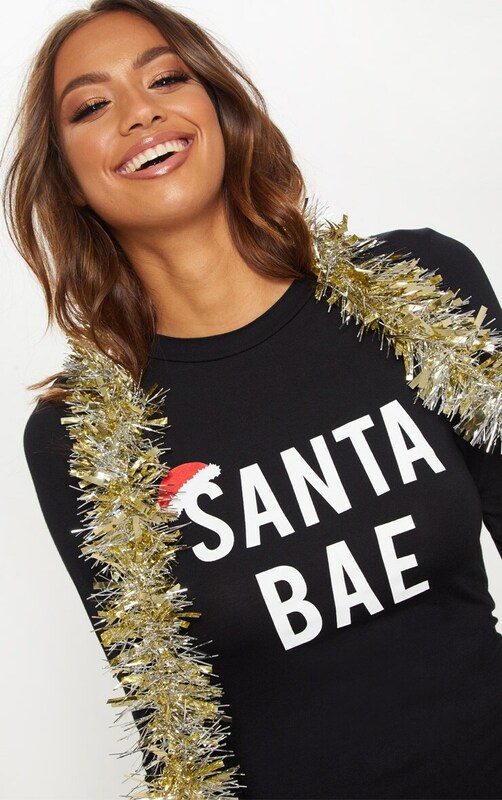 Featuring a black jersey material with a 'Santa Bae' slogan and long sleeves. 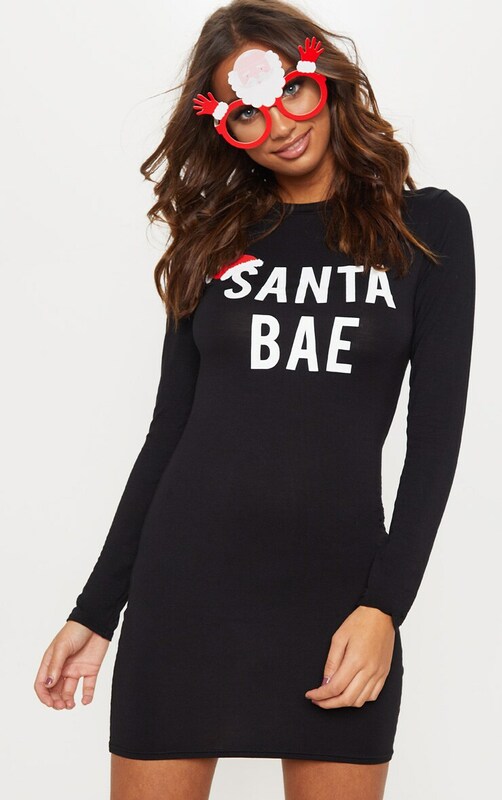 Team this with heeled boots and a statement coat to complete the look.